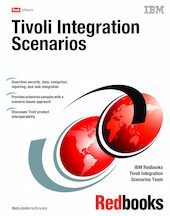 This IBM® Redbooks® publication provides a broad view of how Tivoli® system management products work together in several common scenarios. You must achieve seamless integration for operations personnel to work with the solution. This integration is necessary to ensure that the product can be used easily by the users. Product integration contains multiple dimensions, such as security, navigation, data and task integrations. Within the context of the scenarios in this book, you see examples of these integrations. The scenarios implemented in this book are largely based on the input from the integration team, and several clients using IBM products. We based these scenarios on common real-life examples that IT operations often have to deal with. Of course, these scenarios are only a small subset of the possible integration scenarios that can be accomplished by the Tivoli products, but they were chosen to be representative of the integration possibilities using the Tivoli products. We discuss these implementations and benefits that are realized by these integrations, and also provide sample scenarios of how these integrations work. This book is a reference guide for IT architects and IT specialists working on integrating Tivoli products in real-life environments.